Devastated. That is how I felt after finding out we would have to wait a quarter of a year to take the classes we needed to move forward. I was under the impression that we had to take the classes before we could begin the process of becoming certified to foster and adopt. Never have I been so thankful to be wrong! Fost/adopt is not for the faint of heart or those looking to hide from their past. This is authenticville, the open book lifestyle! Thankfully I am open to a fault and maybe overshare on occasion. Packet two was long and it was an individual packet so Luke and I had our own. SO. MANY. QUESTIONS. I may have been a little nervous to turn it in. I mean do they read the answers to the questions about the teenage years? That can’t still be held against me right?!?!? Just kidding. I wasn’t a rebellious teen by any means, but still teenagers are crazyville. They aren’t fully baked. When we turned in packet two and no one told us to take a hike, we moved on to packet three. Now I have to say, I am list person and Koinonia was very kind to supply me with the ultimate list. Packet three had the most things to check-off, so naturally it was my favorite. It also had way less questions and a lot more things to do. We had to get fingerprinted twice for the foster care and adoption background checks (please do not believe that California shares fingerprints you have to get different ones done for everything). The prints are the most expensive part of getting certified, I think Luke and I paid around $150 each. That is one of the very few things that we had to pay for. We also had to get our DMV records ($5 each), take a CPR class ($50 each), and pay co-pays for our physicals ($20 each + blood work cost). Yes, you have to get a physical to adopt! They gotta make sure you are healthy enough to chase after little ones! That is basically the total cost we accrued through the certification process. We did have to spend some money to get our house up to home study standards, but that cost will depend on what you already have in your house and usually isn’t much (more on this later). I was so anxious to check things off our list that I may have become a little bit of a stalker. 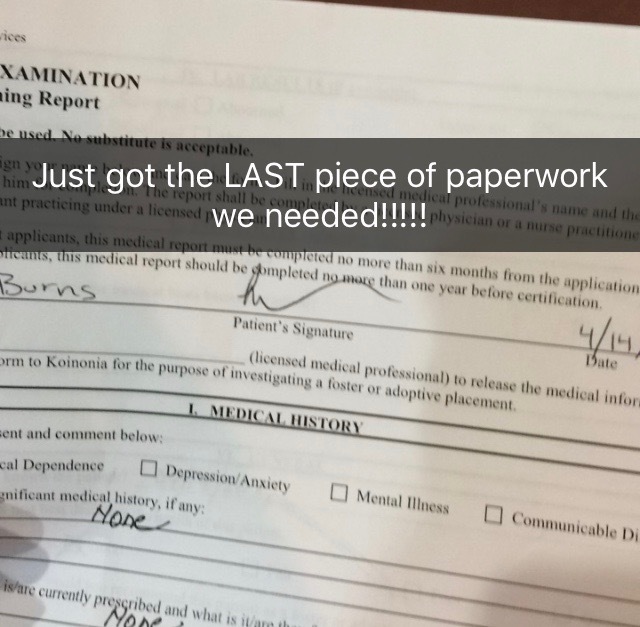 I definitely called our doctor’s office a few hundred times and might have camped out in their office on a Friday afternoon to make sure they gave us the LAST piece of paperwork that we needed before they closed. I’m pretty sure the receptionist thought I lost my mind. She might have contemplated calling security when the words, “I will wait as long as it takes” escaped my lips. They were already closed at that point. In my defense, that piece of paperwork was SUPER important, it meant we could start the home study process. So ya know, it had to be done because waiting until Monday sounded like eons of torture. 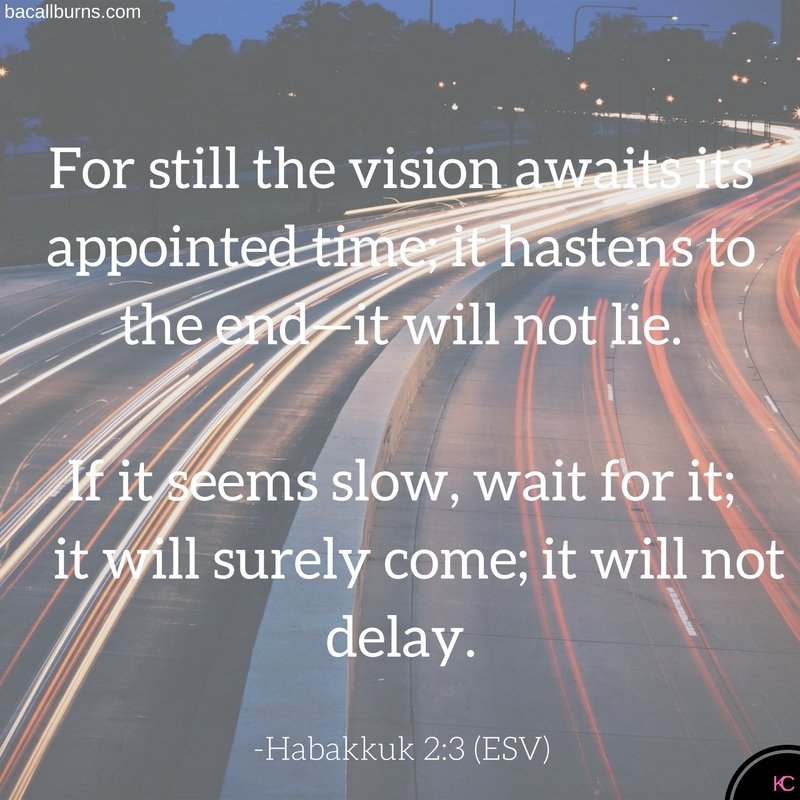 Plus I was fairly confident the Lord would do what He needed to do to slowdown this crazy train if He wanted to, even if I was camped out in my doctor’s office. Did I mention waiting isn’t my strong suit?